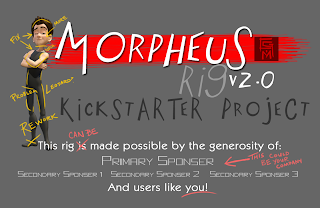 Josh Burton :: Animator/Storyteller Josh's ramblings and maybe a sketch or two...: Morpheus Rig 2.0 Kickstarter...the game has begun! 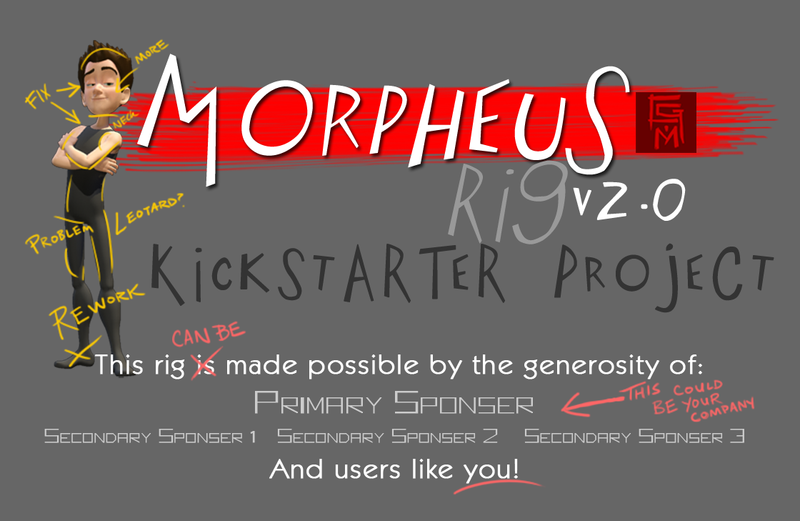 Morpheus Rig 2.0 Kickstarter...the game has begun! We're live, internets! You have 30 days to make this project a go. So if you like Morpheus Rig or CG Monks and wanna see more, now is your chance! Thank you for all your support. Hey Josh, have you posted about this on CGtalk.com? I just pledged 25 dollars by the way. Thanks for all the hard work. I'd forgotten:( Done. Thanks for the reminder and for the support! just backed the project and very happy that you guys are working on it. Will 2.0 be one seamless rig? By that I mean will the head be connected to the body or are you guys keeping it seperate? That's one of the things you as a backer will help us decide. :) Check out the vimeo video on the facial rig. We talk about it a little on that and the comments below. Ah, just saw it, Josh. Definitely if it's easier to customize if the head is kept seperate, then I am definitely in that camp.